The new technique is a process by which the sensitivity of DNA sequencing can be improved. The technology, called SiMSen-Seq, could aid in detecting the recurrence of cancers, catching possible disease relapses faster than current methods, and improving patient outcomes. When sequencing DNA, researchers often use polymerase chain reaction (PCR) to increase the amount of DNA available from a sample. Yet, PCR can introduce mistakes that can limit many researchers' ability to detect real mutations in the original DNA molecules. 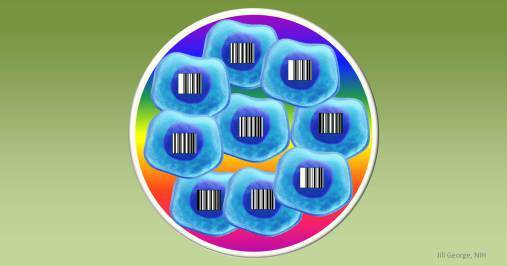 To track the original molecules in a sample, molecular tags called DNA barcodes are added. This technique is essential for sensitive detection of mutations but can lead to other errors, as components of the tags can interfere with each other and affect the final results. Current genome sequencing technologies return results with error rates of approximately one percent, meaning that for researchers to be certain that a mutation exists it has to be detected in a sample at a rate of greater than one percent. SimSen-Seq technology has lowered this error rate 100-fold, meaning that the recurrence of cancers could be detected at lower levels—and earlier—than before, allowing patients to receive additional treatment sooner. The team has patented their technique, and while it can conceivably be performed in any molecular biology lab, the group also hopes to make their expertise in using the method available to the research community. “Our paper describes how this process can be carried out, but we think that our experience in using the technique could be leveraged by other research groups and save them the trial and error of instituting a new process,” Dr. Krzyzanowski noted.